The Wat Arun temple is located along the Chao Praya River that runs through the heart of Bangkok. Nicknamed the Temple of the Dawn, Wat Arun is named after the Hindu goddess Aruna that symbolizes the beginning of a new kingdom. However, some take the temple's name more literally due to its ability to reflect the sun off its golden spire at sunrise. The temple was built in the 19th century and is surrounded by colourful porcelain decorated terraces that allow visitors to enjoy a quiet view of the otherwise loud and busy city of Bangkok. 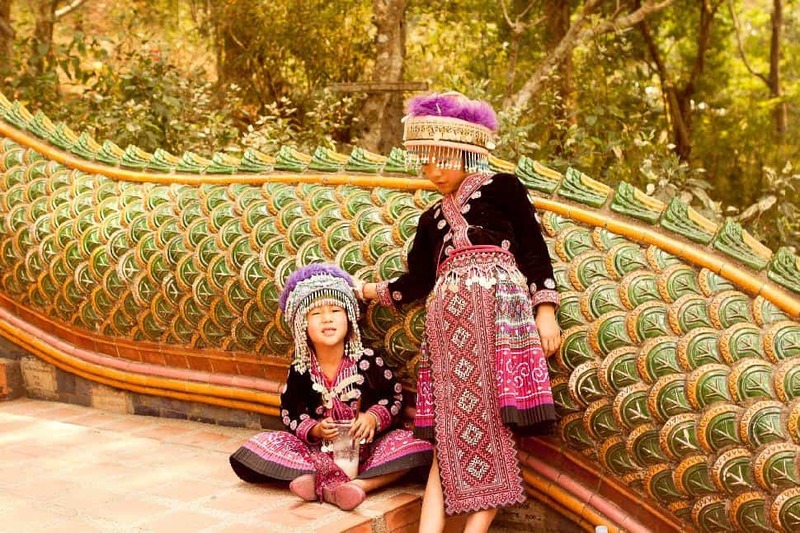 Wat Phrathat Doi Suthep temple is located 15 kilometres outside of Chiang Mai on top of Doi Suthep Mountain. The temple is nestled 1,600 meters high on the mountain and tourists primary use a cable car to reach and tour this iconic Buddhist temple. Pilgrims and more active tourists will skip the cable car all together and make the pilgrimage to the temple by climbing its 300 stone steps winding up the mountainside to the top. The temple dates back to the 14th century and is surrounded by tall Buddha statues and monuments. The view from the temple off the mountain is breathtaking and the chanting monks create a unique and unforgettable temple atmosphere. Phanom Rung is located in the rural province of Buriram, roughly 400 kilometres from Bangkok. 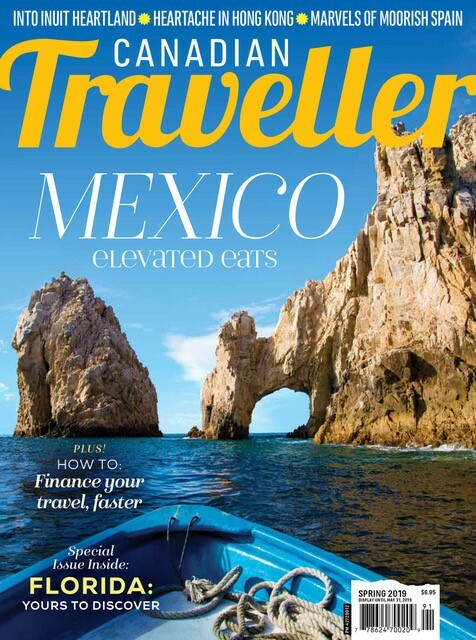 For travellers that wish to visit this temple, it will be a long trip, but well worth it. The temple of Phanom Rung is located atop a sleeping volcano. From the temple grounds, visitors can see the Dongrek Mountains where the Khmer Empire was first created and ruled what is now modern Cambodia. 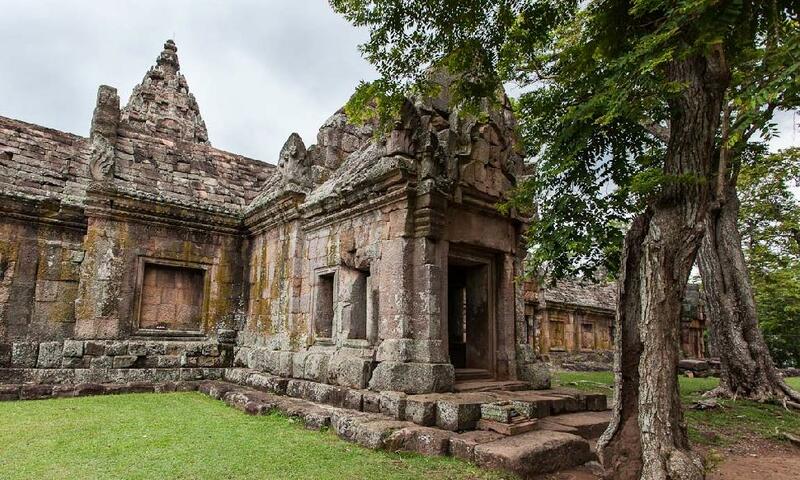 Throughout the temple grounds, visitors will be treated to the ring of Khmer monuments that surround it and can learn about this empire that is lesser known to the Western world. Also known as the Temple of the Reclining Buddha, Wat Pho in Bangkok is one of the most famous temples in Thailand. 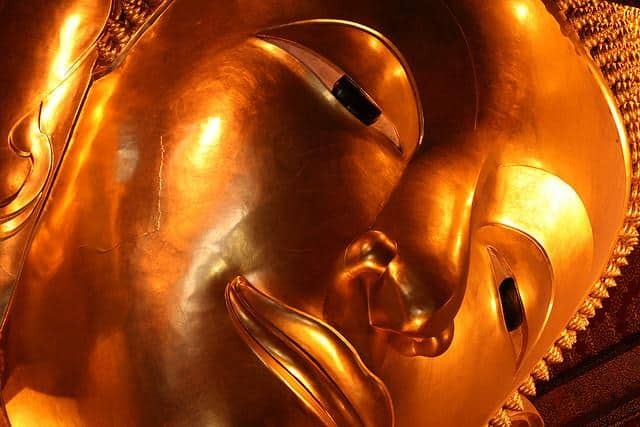 Not only is Wat Pho temple architecturally beautiful, it is home to over one thousand impressions of Buddha, with the largest being the iconic golden reclining Buddha statue. With a length of 46 metres, a height of 15 metres and covered in gold leaf, the statue of the reclining Buddha is an impressive sight. In the often forgotten province of Kanchanaburi there is a temple that has helped put the area back on the map. While the temple is magnificent, it was not its history or architecture that garnered its fame - it is its residents. Wat Pa Luangta Bua Yannasampanno is a sanctuary for tigers that were in need of a home. The Buddhist monks that live in the temple care for the animals and coexist peacefully among them. As visitors walk the halls, they will pass close to tigers and monks alike roaming the halls or lounging on the grounds. It is a thrill like no other to be so close to these powerful animals in what several documentary teams have dubbed "tiger heaven". 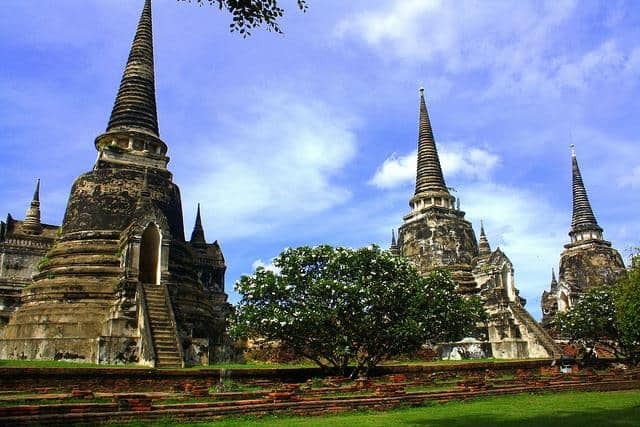 The Wat Phra Sri Sanphet temple is located in Thailand's old capital of Ayutthaya, which was destroyed in 1767. Most of the city has since been transformed into a historical park and the temples scattered within are part of it. Wat Phra Sri Sanphet was the most important temple as it served the royalty of the city. Built in 1448 within the walls of the royal palace, Wat Phra Sri Sanphet served as a holy place for important royal ceremonies. 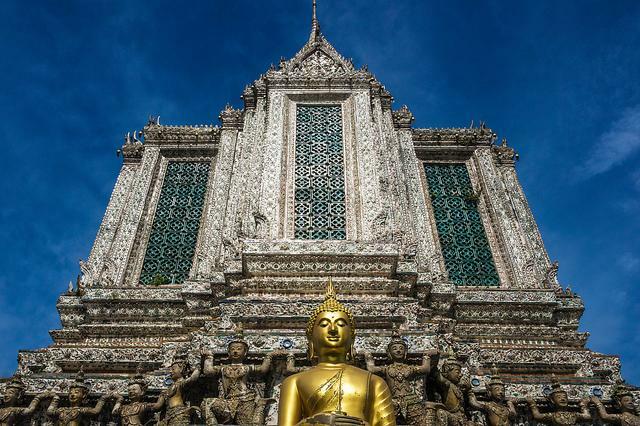 Wat Phra Kaew in Bangkok is considered one of the most important temples in Thailand. The temple itself is beautiful and located within the walls of the old royal palace, but that is not what makes this temple so important. Wat Phra Kaew is beloved for what it holds. 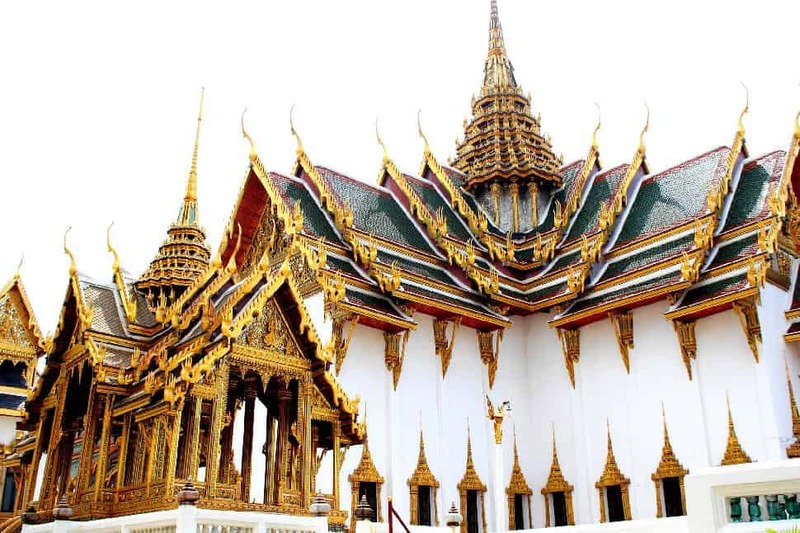 The temple is home to the Emerald Buddha, which is thought to serve as a palladium to the country of Thailand. The figure depicts Buddha in his iconic yogic pose, clothed in gold. Contrary to what the name suggests, the Buddha figure is actually made of green jasper rather than emerald.